Confession: I hate photographing product. Hate it. The truth is that I crave instantaneous gratification: when I finish a new design, I would LOVE for it to simply post itself on the website for me. And limited time and resources dictate that I am unable to have every piece of jewelry professionally photographed. So, over the years I have experimented with everything from building my own displays and light boxes, to purchasing a pre-fabbed mini-studio, all of which still left me drowning in photoshop post production tweaking backgrounds and playing with color saturation levels. So I began hunting for an option that would make my life a little easier. My criteria was simple: I needed something that had an easy set up, would distill and refract natural light to cut down on my post production time, and was cost effective. Enter Modahaus, an AWESOME British brand that is designed to all of that. 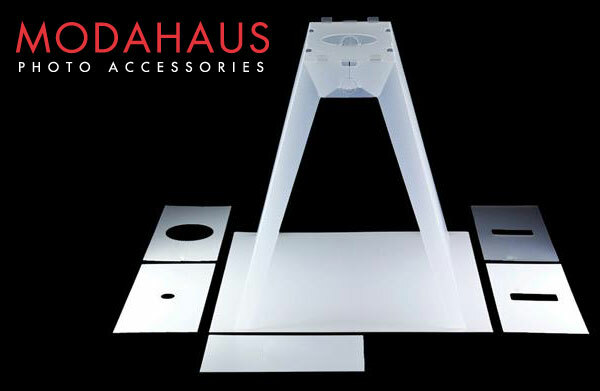 Modahaus is a table top photography studio. 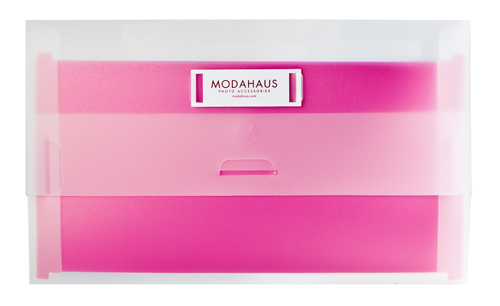 Available in 3 sizes, all with multiple background options, Modahaus is kinda a dream. It is constructed out of a high grade flexible polymer – important because it repels stains and lint, is easy to clean and consistently diffuses light. The case folds open to act as both a tripod and an extra light diffuser. The background snaps into place to form an appealing curve and the whole contraption folds flat again for easy storage. Additionally, Modahaus offers inserts in various sizes to accommodate a range of different types of cameras – from a DSLR to an iphone. All for under $80. I bought it. I love it. Modahaus is easy, simple and produces consistently strong photographs. (Check out the new product photos on my website here). Gone are hours of post production (the product photo above has not been touched in photoshop). No more wrestling with lint and schmutz that have wandered onto cloth backgrounds (though I recommend a swifter duster close by to pick up any dust between photos). Artificial light looks almost as awesome as natural light (almost). Oh, AND Modahaus offers free shipping to the US. Done and done. CRAVING MORE PRODUCT PHOTO INFORMATION? 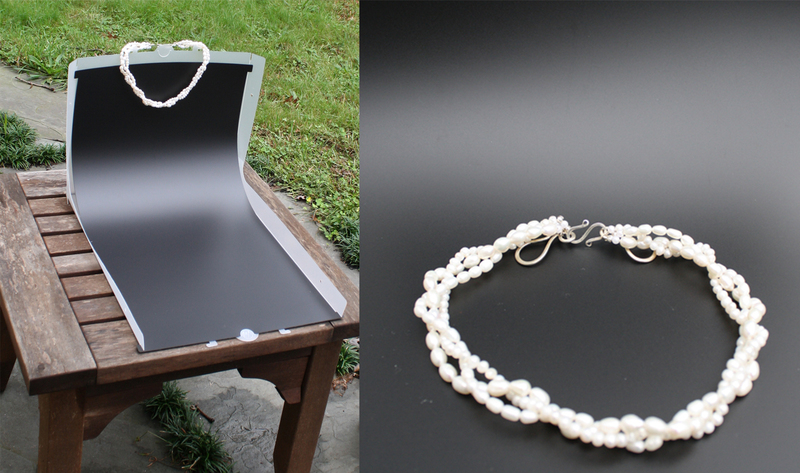 I wholly recommend this article on photographing jewelry. Or hop over to pinterest – I regularly post business tips + tricks for designers. This entry was posted on October 15, 2013 by elisabeth in in the studio, our favorite things and tagged Modahaus, photographing jewelry, product photography. Other Topics You Might Enjoy….